SCREEN Switches Electricity Used at Headquarters Facilities to 100% Green Energy | SCREEN Holdings Co., Ltd.
Kyoto, Japan – February 1, 2019 – SCREEN Holdings Co., Ltd. has introduced the Green Power Certification System provided by Japan Natural Energy Company Limited (headquarters: Shinagawa, Tokyo; CEO: Atsushi Fukuta) and purchased 1,665,000 kWh of electricity generated from renewable energy sources. From fiscal 2018, all electricity used at SCREEN headquarters facilities is being switched to green energy, thereby completely eliminating all CO2 emissions originating from electricity consumption. 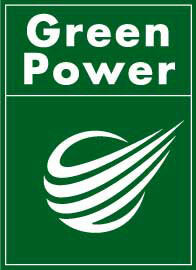 As part of its ongoing efforts to reduce global warming and create a more sustainable society, SCREEN has adopted the Green Power Certification System operated by Japan Natural Energy and signed a contract to use electricity generated from renewable sources. SCREEN has also purchased green certificates from Japan Natural Energy for 1,665,000 kWh, corresponding to the amount of electricity consumed annually by its headquarters facilities. SCREEN promotes CSR management that emphasizes ESG** criteria and aims to create a low carbon, recycling-oriented society. Our company’s current effort to reduce CO2 by utilizing renewable energy is also part of this undertaking. It plans to expand on this initiative and implement further measures to address global warming and contribute to the realization of a sustainable society. By acquiring these green certificates, even corporations that do not have power generation facilities can contribute to the generalized use of renewable energy equivalent to the electricity volume (kWh) recorded on a certificate. As they are considered to be using green energy, this is helping to increase interest in the system as a means of preventing global warming. E: Create environmental value and contribute to the development of a low carbon, recycling-oriented society. S: Promote “decent work” (worthwhile work with high personal satisfaction) and create social value. G: Governance from both proactive and reactive approaches / Disclosing ESG informations.